The basement area will become City Hall storage space by fall after 28 years as the hub of the city’s police activity. WATERVILLE — Out with the old. 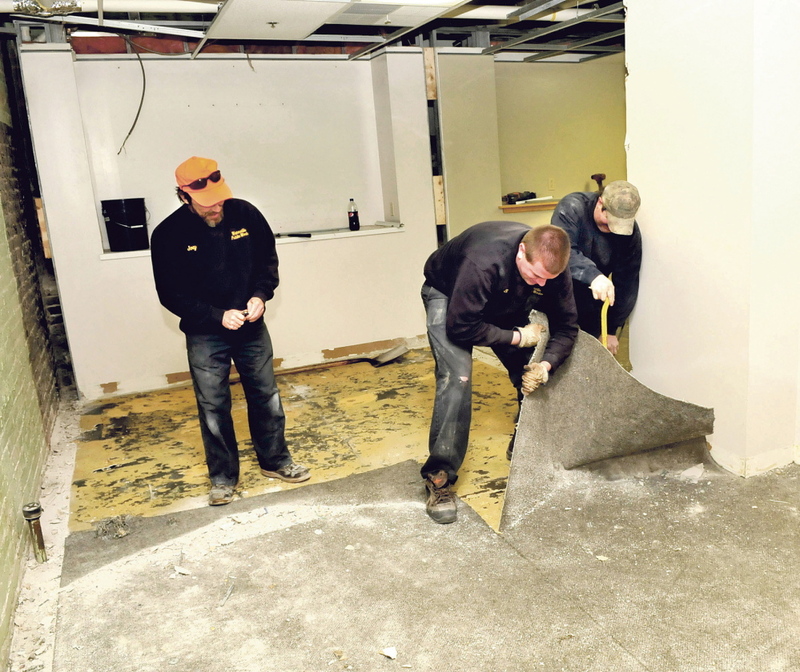 In the downstairs basement of City Hall, workers on Thursday ripped up carpeting, stripped rooms of leftover material and put up new sheetrock. Staff photo by Michael G. Seamans Traffic files by the former Waterville police station space in the basement of City Hall on Front Street on Thursday, March 6, 2014. 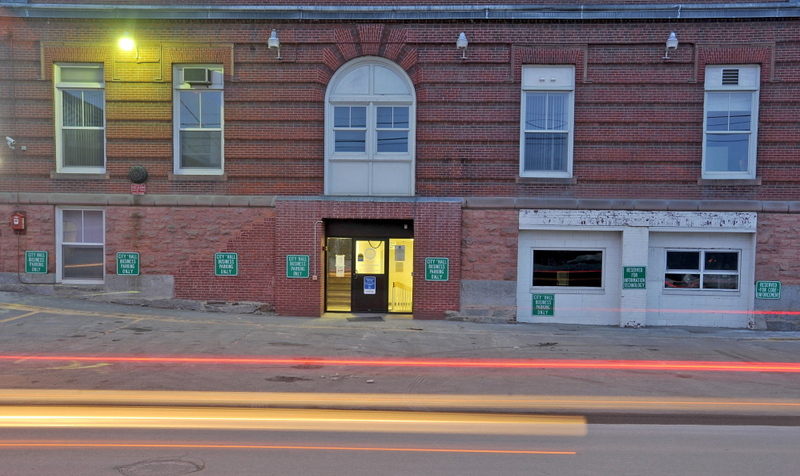 Police Chief Joseph Massey wouldn’t go as far as saying that he would miss the old police station space, but did attest to the station’s importance in the department’s history. 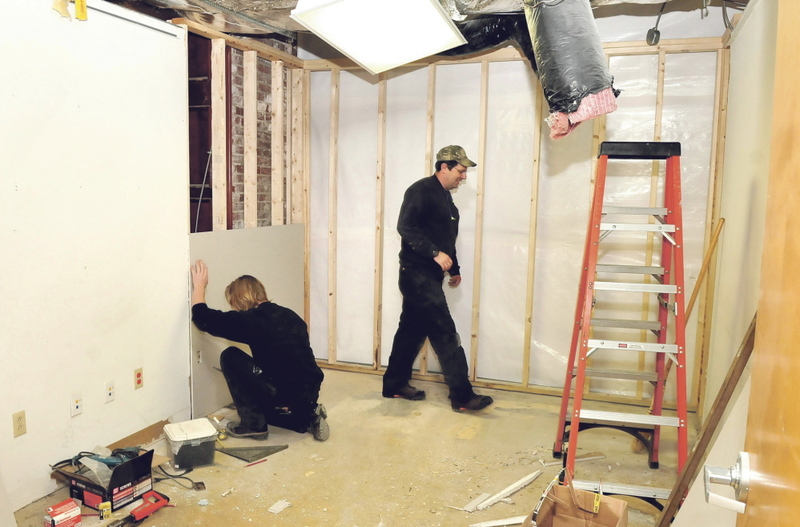 Waterville Public Works employees started the reconstruction of the old police station space, which has been vacant since the department moved into its new $3.4 million, 12,133-square-foot building on Colby Street in August. The space that housed the police department will be converted mostly into storage space, according to City Manager Michael Roy. The City Council in August authorized $85,000 to be spent on the renovation, with money being drawn from the city’s capital investment reserve fund. The new storage space could be up and running by June, with the rest of the basement set to be completed by this fall. Other uses for the renovated basement will be an improved area for the health and welfare center, which has an office in the City Hall basement, and the city’s information and technology department will be housed in the renovated space, according to Roy. City officials have been meeting for the last several months about what to do with the space, Roy said. The change in scenery was key to the police force, according to Massey.